Vedad and Keisha Vlahovljak have been married for six years and are expecting their little girl any day now. The “kiss of life” is so sublime! 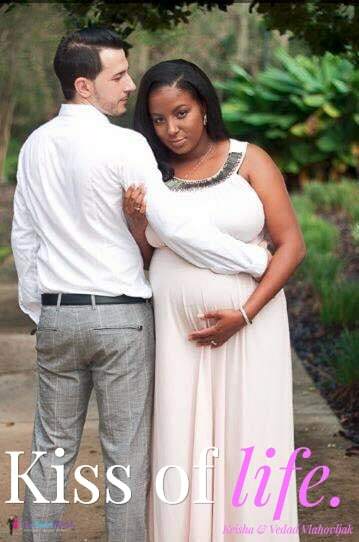 All the best to Vedad, Keisha and their soon-to-arrive bundle of joy. From the lyrics to Kiss of Life, sung by Sade. Writers: Stuart Matthewman, Andrew Hale, Peter Gabriel, Helen Adu, Paul Denman. Copyright: Real World Music Ltd., Angel Music Ltd.